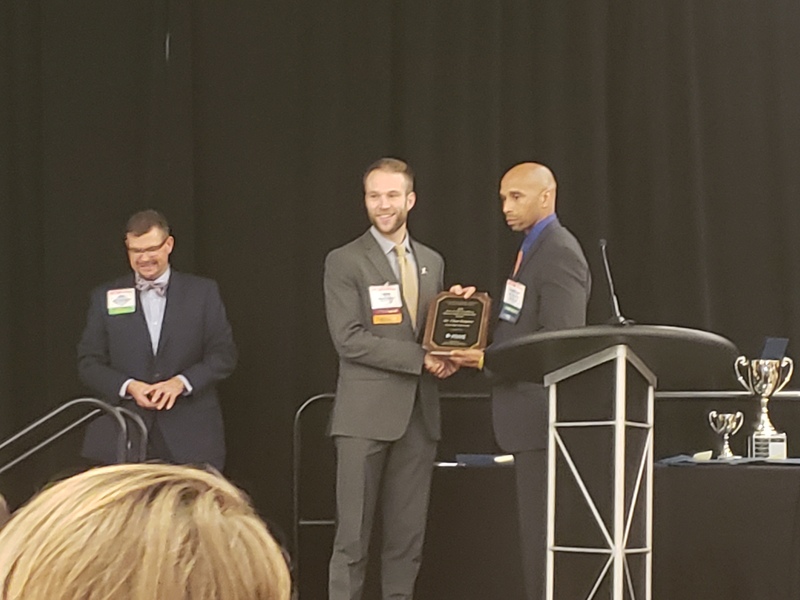 Iowa State Agricultural and Biosystems Engineering (ISU ABE) faculty, staff and students received various awards for their work and contributions to education and research at this year’s Association of Technology, Management and Applied Engineering (ATMAE) Annual Conference. The conference was held in Kansas City, Missouri, from Nov. 7 – 9. The Industrial Technology (ITec) club’s robotics team placed first in the Robotics Competition overall while also receiving the Stephen Harris Cup. 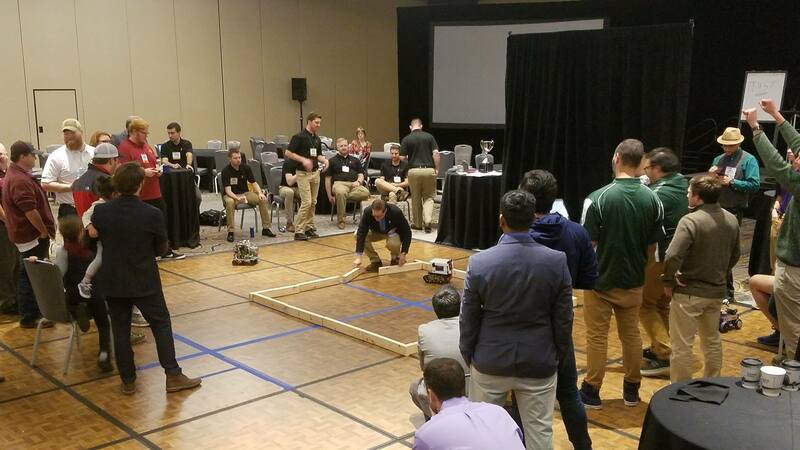 This was the first time that the ITec club Robotics team took first in this competition and only the second time in the history of the competition that an Iowa State team had brought home the competition title. The team is multidisciplinary and comprised of the following students: Ben Gibson, ITec; Nathaniel Hall, ABE; Cody Kapka, ABE; and Nathaniel Stewart, ITec. The team also received the Robotics Competition Peoples’ Choice Award. Gibson, an undergraduate senior in industrial technology, received third place in the Haig Vahradian Tech Challenge. Associate Professor Gretchen Mosher won the Faculty Excellence Award for exemplary contributions and service to ATMAE. 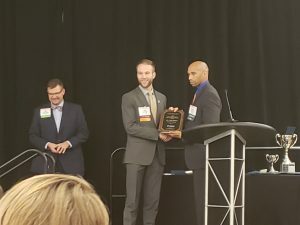 Chad Dolphin, a graduate student in ISU ABE, won the Kate & Cliff Strandberg Masters Student Scholarship. The ITec Club also won the ATMAE Outstanding Student Chapter. 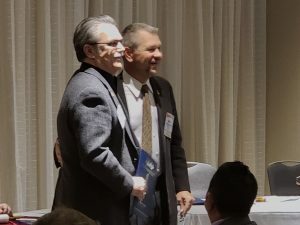 Professor Charles Schwab was awarded the Epsilon Pi Tau Distinguished Service Citation. Faculty members of ABE, along with graduate students, also presented a number of paper presentations. 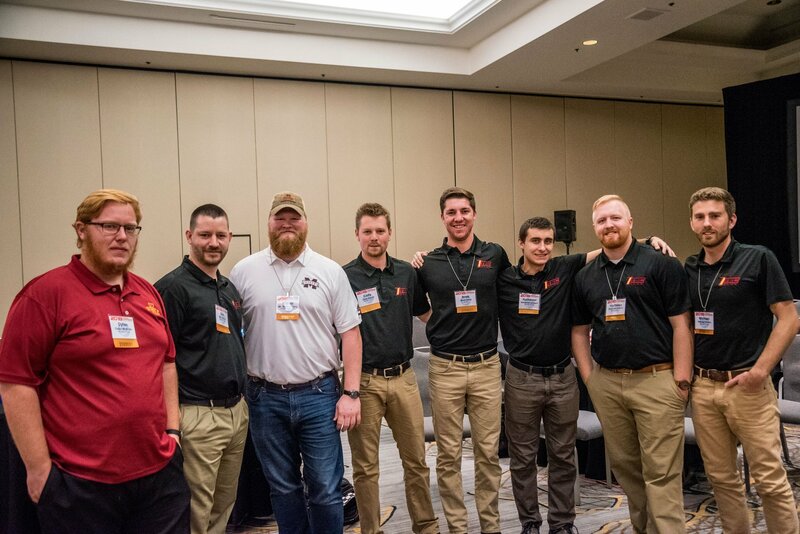 The ITec Robotics team, comprised of students from Iowa State University, recently took first place in the overall robotics competition at the ATMAE Annual Conference in Kansas City, Missouri. Photo courtesy ATMAE. The ITec Robotics team’s robot was the only robot in the competition that was able to successfully navigate all the challenges asked of it. Photo courtesy ATMAE. 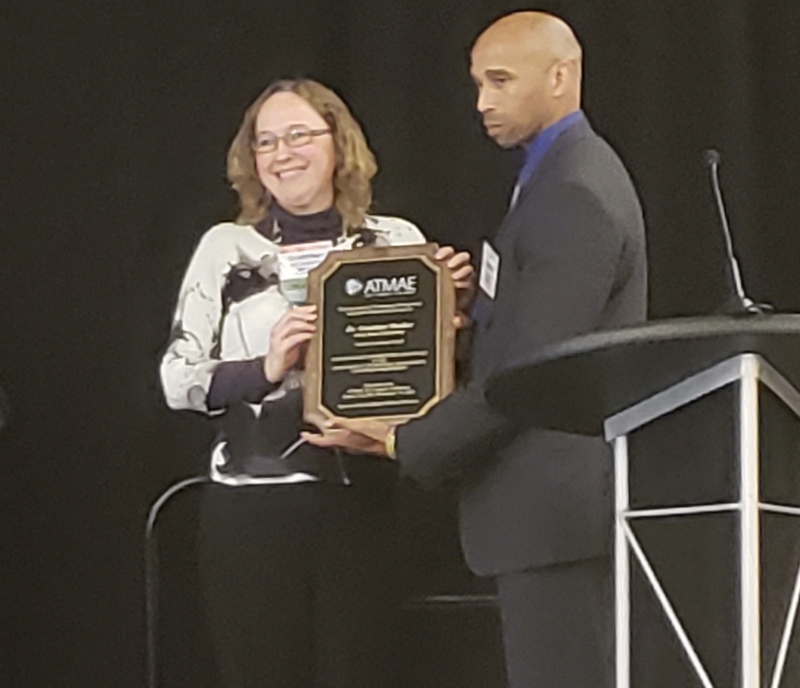 Gretchen Mosher (pictured left), associate professor, accepted the ATMAE Faculty Excellence Award. Photo courtesy Steve Mickelson. Charles Schwab (pictured left), professor, accepted the Epsilon Pi Tau Distinguished Service Citation. Photo courtesy Steve Mickelson. Chad Dolphin (pictured center), graduate student in ISU ABE, received the Kate & Cliff Strandberg Masters Student Scholarship. Photo courtesy Steve Mickelson.